A former foreign policy official in George W. Bush’s administration said Congress must immediately hold hearings to prevent the Obama administration from covering up its national security failures leading up to the murder of Ambassador Chris Stevens. Grenell was referring to a State Department memo a week before the eleventh anniversary of 9/11 that said the U.S. had no intelligence to indicate attacks could happen on that day. That memo has since been erased from the State Department’s website. Conservatives, not the mainstream media, were more intent on finding the truth about the attacks, he alleged. Grenell charged that the “media failed to understand” Obama’s failure to respond for 15 hours after the attack on America’s Cairo Embassy was a sign of weakness. “I really find it shocking that the media then spent the next five days piling on Mitt Romney for speaking too early,” he mused. The foreign policy expert said if the Obama administration was not more careful, “the Islamists are going to step in and fill” the vacuum of power in other countries like Syria. “The Obama administration is on a parade float saying: ‘You know, everything is fine. We’ve killed al-Qaida and Osama bin Laden is dead.’ They’re parading around, but they’re missing the fact that their parade float is completely on fire,” he lamented. 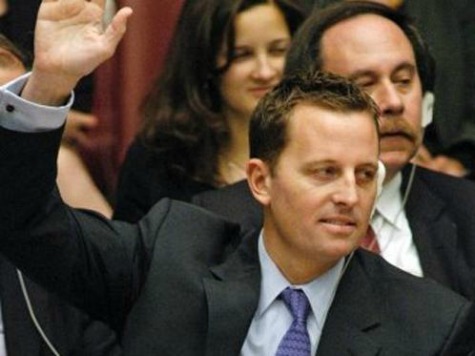 Grenell said a Romney administration would not be as weak as Obama’s has been.